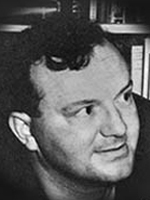 Charles Wright Mills (1916-1962) managed to cause a stir with most everything he did. Even arriving for a class at New York’s Columbia University-clad in a sweatshirt, jeans, and boots astride his motorcycle-he usually turned some heads. During the conservative 1950s, Mills not only dressed a bit out of the mainstream; he also produced a number of book s that challenged most of the beliefs the majority of us take for granted. In the process, he acquired both adherents and adversaries. Mills’s approach to the discipline can be summed up in one sentence: A sociological imagination can transform individual enterprise lives as it changes society. As Mills saw it, sociology is not some dry rise detached from life. Rather, he held up sociology as an escape from the “traps” of our lives because it can show us that society-not our own foibles or failings is responsible for many of our problems. In this way, Mills maintained, sociology transforms personal problems into political issues. In the following excerpt. Mills describes the power of society to shape our individual lives: When a society becomes industrialized, a peasant becomes a worker, a feudal lord is liquidated or becomes a businessman. When classes rise or fall, a man is employed or unemployed; when the rate of investment goes up or down, a man takes new heart or goes broke. When wars happen, an insurance salesman becomes a rocket launcher, a store clerk, a radar man; a wife lives alone; a child grows up without a father. Neither the life of an individual nor the history of a society can be understood without understanding both.Yet men do not usually define the troubles they endure in terms of historical change…. The well-being they enjoy, they do not usually impute to the big ups and downs of the society in which they live. Seldom aware of the intricate connection between the patterns of their own lives and the course of world history, ordinary men do not usually know what this connection means for the kind of men they are becoming and for the kinds of history-making in which they might take part. They do not possess the quality of mind essential to gasp the interplay of men and society, of biography and history, of self and world… .What they need … is a quality of mind that will help them to [see] . what is going on in the world and … what may be happening within themselves. It is this quality … that … may be called the sociological imagination. in this excerpt. Mills uses male pronouns to apply to all people. It is interesting-even ironic-that an outspoken critic of society like Mills reflected the conventional writing practices of his time a s far as gender was concerned. Copyright 2015 Macionis. All rights reserved.